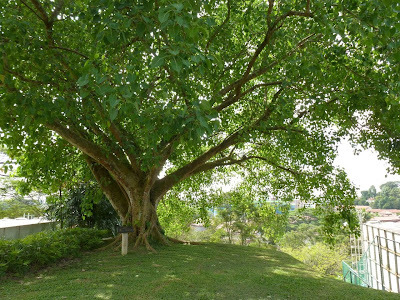 On my wonderings around the Nanyang Technological University campus, Singapore, I came upon this Bodhi tree on Nanyang Hill. A plaque at the base of the tree explains that it was planted in 1985. It is a shoot from the sacred Bodhi tree at Anuradhapura which is one of the ancient capitals of Sri Lanka and a sacred place in the Buddhist world. 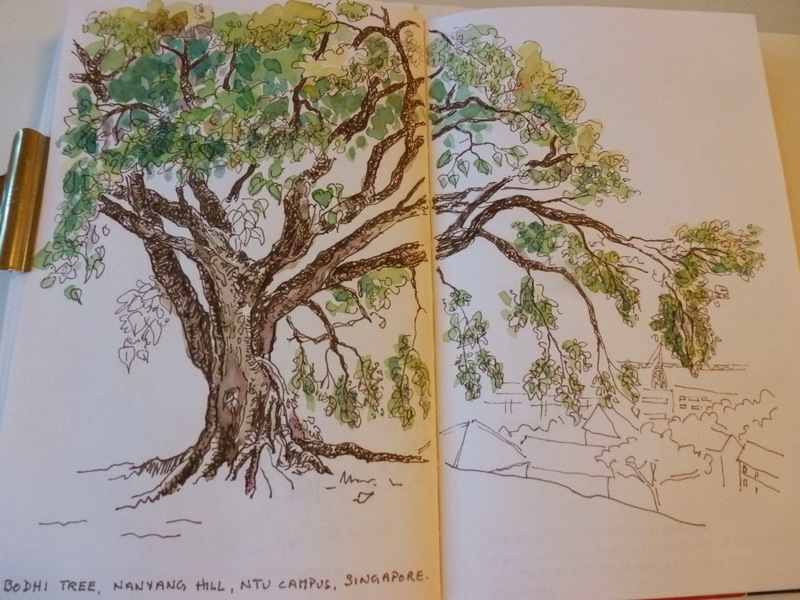 This tree is hence a direct descendant of the Bodhi tree at Buddha Gaya in India where Siddhartha Gautama is said to have gained enlightenment (buddhahood). I felt I just *had* to return to sketch it. The Bodhi tree is a species of fig (Ficus religious) also known as Bo Tree, Peepul or Sacred Fig. Native to Southeast Asia, southwest China, India and the Himalayan foothills. 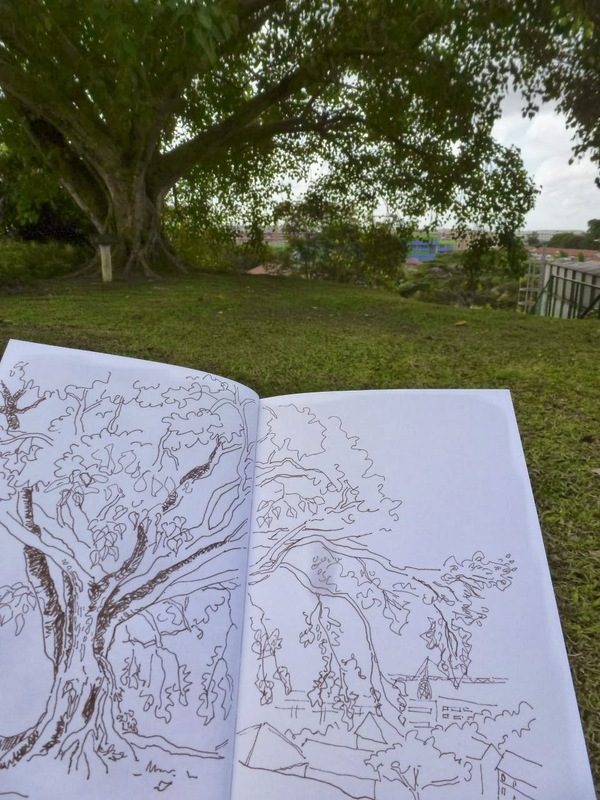 Where is this tree located in NTU? It's at the top of Nanyang Hill. That's the small hill in front (and slightly to the right) of the bus stop outside Canteen Two. It's at the edge of the lawn in front of Nanyang House at the top of that hill. I will go take a look and see if I can spot it. Thank you. I found the tree on my special trip there on 26 Nov 2016. It has grown so well and looking so beautiful. I managed to locate and talk to the person who had organised the installation of the commemorative plaque at the tree 0n 19 Oct 2008, exactly 23 years after the tree was planted 19 Oct 1985. I'm glad you found it. Such a marvellous tree!